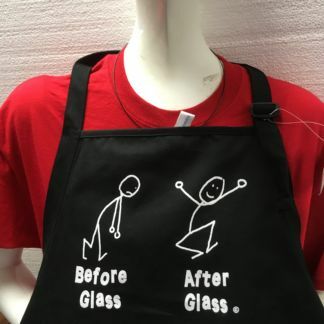 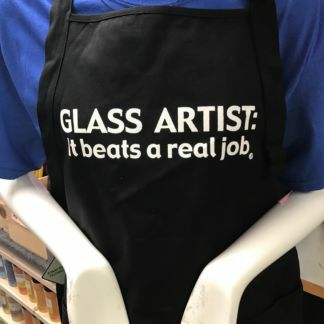 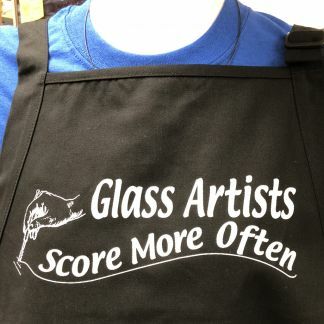 100% Genuine Glass Artist Apron in black. 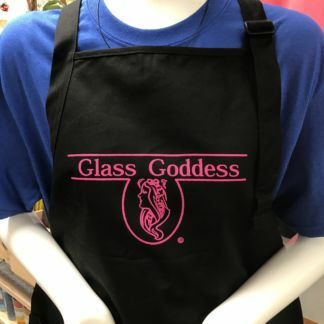 These are a stain resistant easy care apron that shields your clothes from stains while enjoying your art glass hobby. 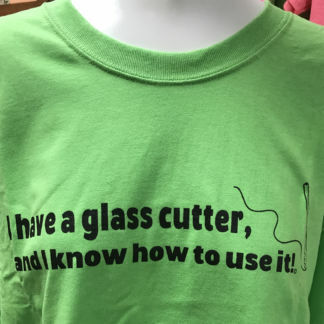 All designs property of The Glass House.